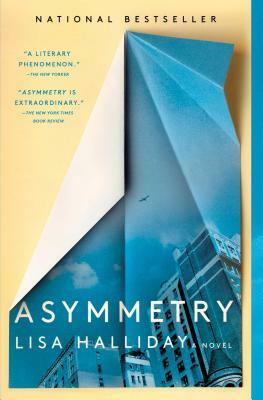 Lisa Halliday’s award-winning debut novel, Asymmetry (newly in paper, Simon & Schuster), was one of the most sensationally-received novels of the year, debut or otherwise. Shortlisted for the Center for Fiction First Novel Prize, and recipient for its author of a Whiting Award, this novel, “is extraordinary...Halliday has written, somehow all at once, a transgressive roman a clef, a novel of ideas and a politically engaged work of metafiction .... Asymmetry is extraordinary, and the timing of its publication seems almost like a feat of civics. . . .Halliday’s prose is so strange and startingly smart that its mere existence seems like commentary on the state of fiction...It’s a first novel that reads like the work of an author who has published many books over many years.” —Alice Gregory, New York Times Book Review. "Asymmetry is a novel of deceptive lightness and a sort of melancholy joy. Lisa Halliday writes with tender laugh-aloud wit, but under her formidable, reckoning gaze a world of compelling characters emerges. 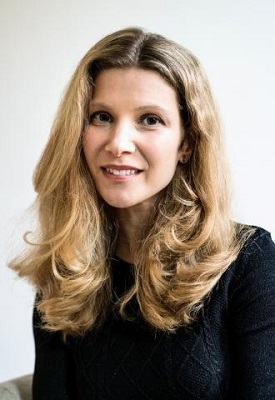 She steps onto the literary stage with the energy of a debut novelist and the confidence of a mature writer." —Louise Erdrich.